The mission of Vet to Vet TN is to provide peer support for Veterans recovering from mental health issues and substance abuse, and offers strategies and coping skills for living a healthy lifestyle. 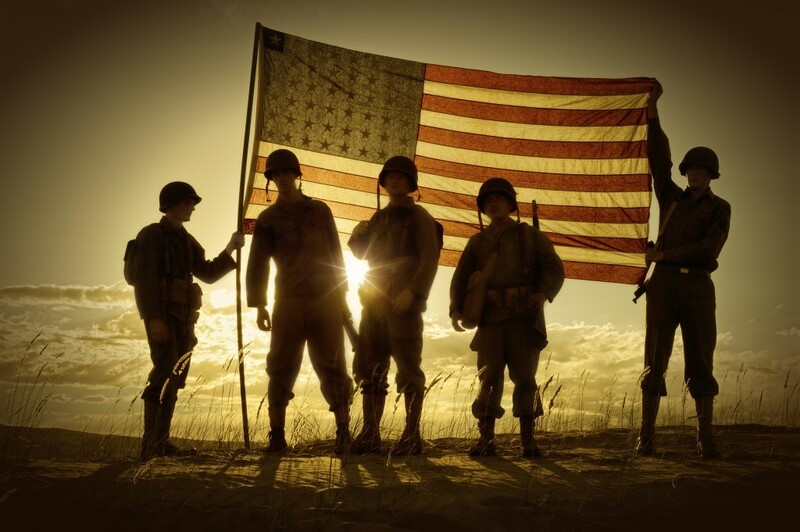 Our goal is to provide a safe haven to any Veteran within our area of service. Vet to Vet TN gives veterans a sense of worth that allows them to support and promote their own recovery. By being patients and supporters ,and through shared experiences and peer to peer support, veterans can gain strength, courage, and ownership when it comes to advocating their recovery. Vet to Vet Tennessee is a 501(c) (3) nonprofit veterans' organization. Your contribution is tax-deductible to the extent allowed by law. Your support is greatly appreciated. Click here to review Vet to Vet Tennessee Fiscal Year 2015 Activities and Accomplishments and for Fiscal Year 2016 Goals. James “Moe” Armstrong: “One Vet at a Time. Life of veteran, mental health advocate, and Vet to Vet founder. Vet-to-Vet was started in Cambridge, Massachusetts, by James “Moe” Armstrong; it has since spread across the United States, and received the attention and the support of the VA Medical Centers, recognized for the integral role of peer support in mental health recovery. According to Moe Armstrong, our founder, “We are Pioneers” in the vet to vet peer facilitator program. We are here for ourselves, and for you, when you are ready for us. Many times a Veteran will not ask for help until he or she is in crisis. We have a common bond. We got into this together and we will get out of it together. We hope to see you again! Check back later for new updates to our website. Thank You for Your Service! Let us always remember our Service Men and Women who are currently in harms way protecting us and our freedoms! To learn more about Vet to Vet Tennessee please contact V2VT President Freddie Owens at 865-336-2624 cell or 865-336-2624 office or leave your comments please. We lost a great friend to suicide yesterday and our Group is going to be raising funds for his family and for a local charity that helps with veterans PTSD. We are also looking for a charity to work with in 2018 for a large Jeep event we hold. We will be holding an event on Memorial Day weekend and will have a charity raffle. In the past we raised funds for Smoky Mountain Service Dogs. Last year we donated over 12k to them. If you have interest in working with us please let me know. I would also like more info on how you help veterans locally and how much of the donations actually stay in this area. I am a member of a recent chartered AMVETS Post 22 in Maryville. We have partnered with Vet-2-Vet and a separate section of Habitat 4 Humanity to do repairs and formed Repairs For Hero’s. Our Post along with donations from a construction company, roofing company and Anderson Lumber Company have already replaced or repaired two roofs for veterans who cannot afford to do this and redone a bathroom for a veteran who desperately needed it. Please contact our Post at Amvetspost22ofblountcounty@gmail.com I will share your information with our Commander, Mark Frederick. Thank you, Doris, for your response and support. Our “Repairs For Heroes” was conceived and implemented in October 2017 as a pilot program between Vet to Vet Tennessee, Blount County Habitat For Humanity and Amvets Post 22. The name of the program represents the mission: to help repair the mind, body, spirit and home of veterans in need. Because of the dedication of the three organizations and the outstanding effort by Johnny Titlow and Karl Griffith and the generosity of the vendors and the Post, two homes have been completed. Currently we have three families in the program and sure there are many more who can use our support. Please let others know about the program. Contributions to the Blount County “Repairs for Heroes” program can be donated to Amvets Post 22, Blount County Habitat For Humanity or Vet to Vet Tennessee. Vet to Vet Tennessee has already applied for grants and seeking donations to continue to support our pilot program but also to expand the program to other counties and service organizations. If you are interested in learning how to become a “repairs for heroes” mentor or would like to learn how to start the program in another county. please contact us at 865-336-2624 or leave us a message. With your support, we will never leave a fallen veteran behind.